We can be seen in the first half discussing label-slapping. Growing up in Cincinnati, our childhood was shaped by Kenner toys. Coming from a family keen on collecting antiques and sports memorabilia, it made sense for us to gravitate towards something with which we had a passion. 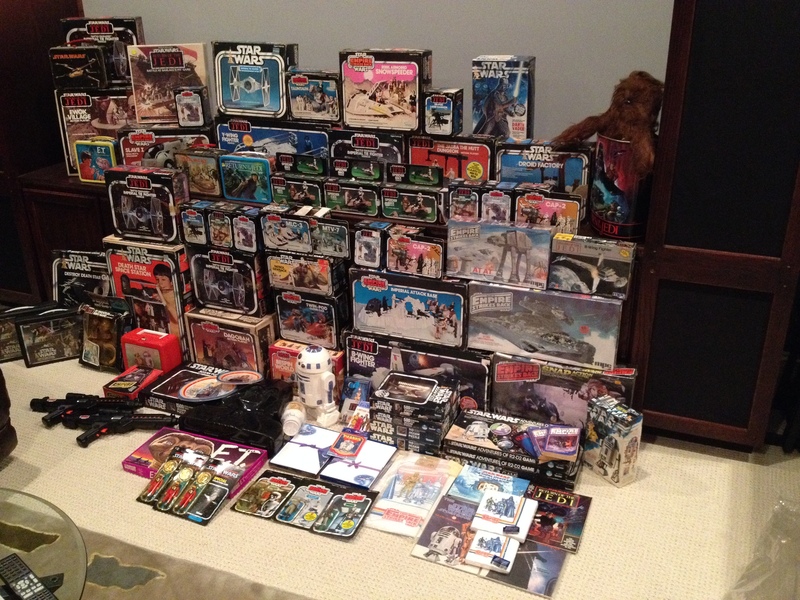 With a rejuvenated interested in the Star Wars franchise with the Special Edition releases of the mid-90's, coupled with finding our childhood Star Wars toys, we dove head-first into the collecting world. Our general rule of thumb is if we don't have it, we add it to our collection. If we have something already, then we do our best to upgrade the condition of each item as we continue to hunt toys. Many collectors have a focus, such as specific character or niche collectible subset. Not us! We love the art, engineering, design, and history of almost all items! We love to buy from the original owners. Our toys have stories that came with them... stories about receiving a pop-up R2-D2 as a birthday cake topper, a Yoda mold that was given to a family friend as a "rainy day" fund, and even movie slides given by Kenner to a Star Wars-themed concert for kids in the late 1970's. We like the face-to-face interaction and the potential to develop relationships. The vast majority of our collection was built this way! Reach out to us in order to schedule a meeting and receive an quick, hassle-free, in-person cash offer on your Star Wars Toys and Kenner Items Today.